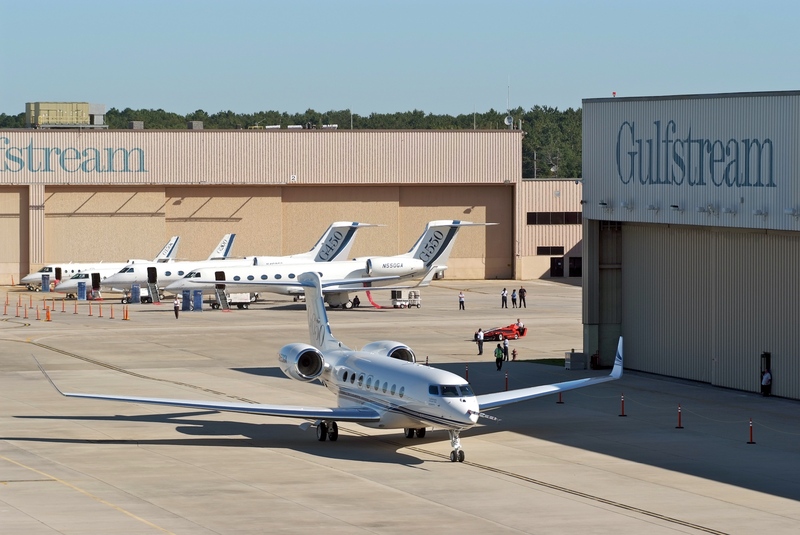 Gulfstream has rolled out it’s new all-new business jet, the Gulfstream G650, at the company headquarters in Savannah, GA yesterday. Approximately 7,000 people gathered around to see the full fledged G650 in person. The G650 offers the longest range, fastest speed, largest cabin and the most advanced cockpit in the Gulfstream fleet. The G650 fits in a class by itself built with only the best parts available. 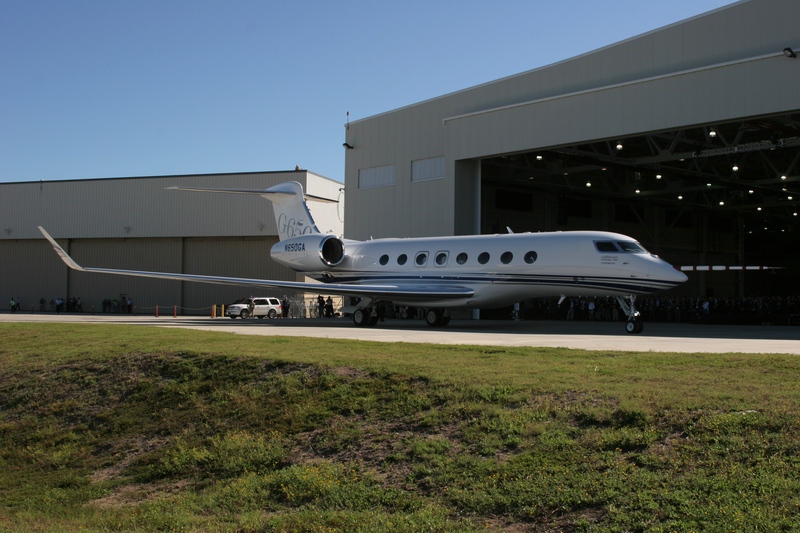 The aircraft has an all-new Gulfstream wing, best-in-class Rolls-Royce BR725 engines and top-of-the-line aesthetics. The cabin measures 102 inches wide and 77 inches high, the largest purpose-built cabin in business aviation. The extra space allows for larger galleys and lavatories, and increased storage. Gulfstream has made the G650 the most technologically advanced flight deck in business aviation with the PlaneView II cockpit and an advanced aircraft health and trend monitoring system to support aircraft maintenance planning and improve availability. 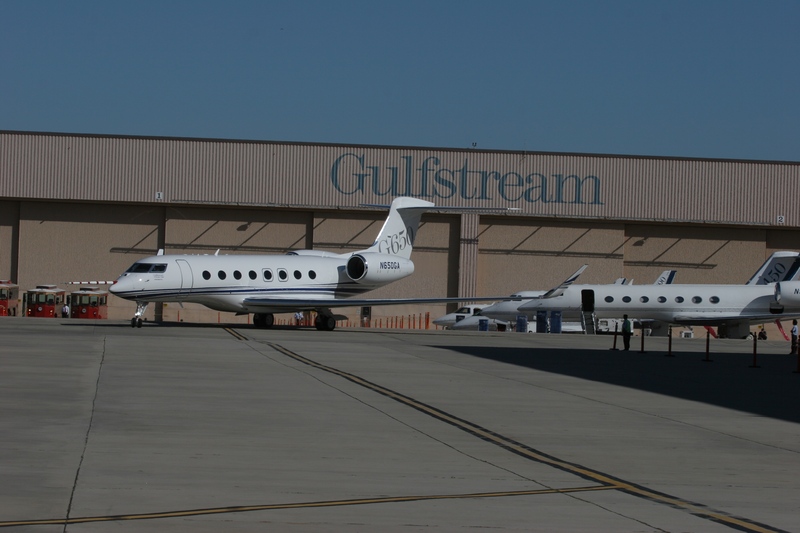 The Gulfstream Cabin Essential systems include redundant fiber optic and wireless technologies, along with the latest innovations in lighting, seating, acoustics and cabin systems to provide the most productive cabin environment in business aviation. 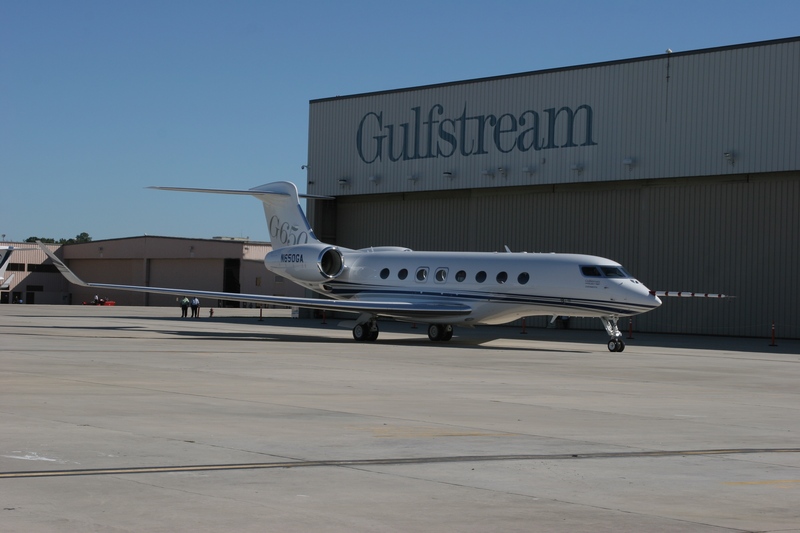 Gulfstream announced the G650 on March 13, 2008, in Savannah. The aircraft is on schedule for first flight later this year and is expected to be certified in 2011. Entry-into-service is planned for 2012. Below, are some pictures from the event.